Home / Blog / Do dogs dream? And what do dogs dream about? Do dogs dream? And what do dogs dream about? Sitting relaxing on a Sunday afternoon and your dog’s starts twitching and possibly yelping in their sleep. The usual owner response is ‘Max is chasing rabbits in his sleep ‘or similar. But is this true? Do dogs dream and if they do dream, what do dogs dream about? To understand whether dogs dream, its useful to understand the signs of dreaming. In humans it is relatively straight forward, did you have a dream last night? Yes, I did, case closed. Dogs of course don’t speak and so we have to explore other signs. In humans’ dreams start in a section of the brain stem call the pons, it is believed that dreams are completely random and not necessarily a sign of mental state or a sign from the future…. Instead dreams are built up from a set of electrical signals that can stimulate emotion and the cerebral cortex- where memories are stored. This random electrical stimulus can then confuse the brain. The brain attempts to pull together a coherent plot out of the random chaos -a dream! The period of sleep when dreams take place is the REM (rapid eye movement) sleep and is well known to occur in all mammals and birds. REM sleep can be distinguished by the movement of the eyes when asleep (clues in the name!). REM can be observed in dogs and so this would indicate they are dreaming. 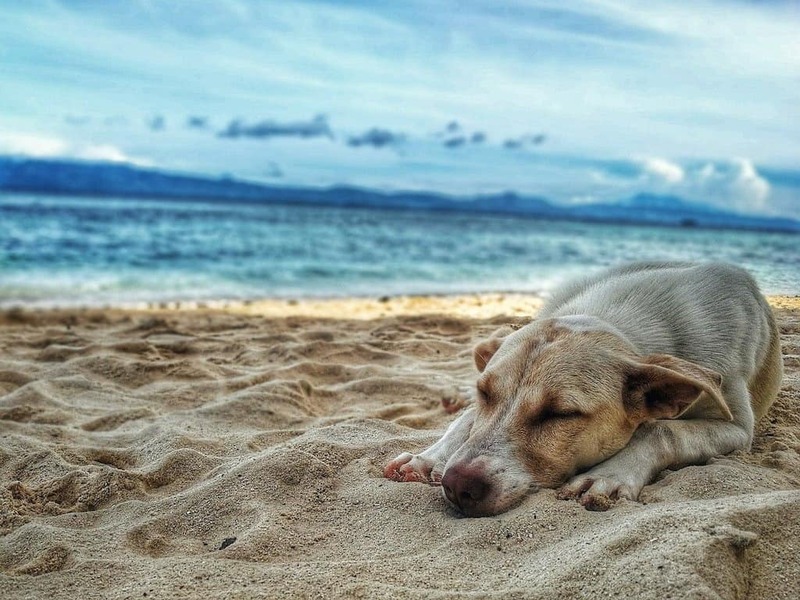 On top of this scientists have observed the same electrical impulses in dogs as you would see in humans further supporting the notion that dogs do dream. Onto the next question, what do dogs dream about? This is almost impossible to know. It is believed that whatever happens during the day can have an impact on dream, as dreams are somewhat reliant on memories in the brain. So bad news could potentially lead to nightmares or even the fear of bad news, so a dog’s fear of the vets could lead to a nightmare. A dog’s dream of chasing a rabbit could well come from a recent experience. Who knows what you dog may be dreaming about, but whatever it is, I certainly hope it’s a nice dream…..